Above: One thing I learned from last week’s talk is that MS stands for milestone and MP for milepost. 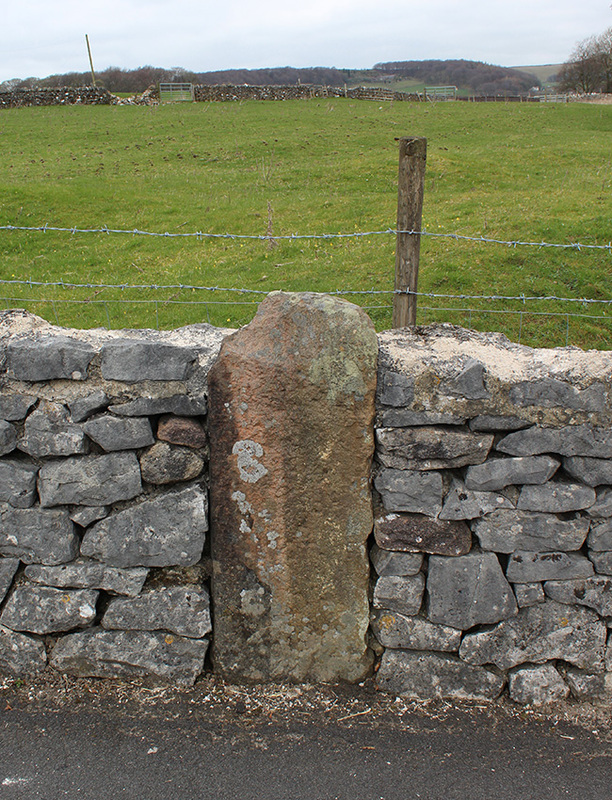 And that posts were typically metal and superseded the stones. This map shows that stones were set beside the earlier turnpike, and posts on the later one. 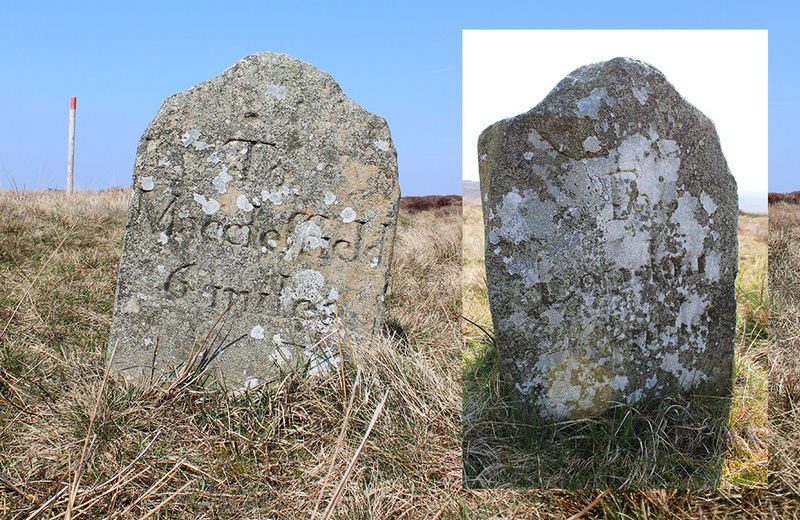 Old OS maps of the two Buxton to Macclesfield turnpikes provide lots of fascinating detail, including milestones. A recent talk in Buxton on these small roadside markers inspired me to go in search of any that still remain near the Goyt Valley. Several milestones can be found along the 1759 route of the Macclesfield and Buxton Turnpike: in Burbage (embedded into a wall at the junction of Macclesfield Old Road and Anncroft Road); at the beginning of the descent to the Goyt Valley from the Buxton direction; about a quarter mile west of the Cat & Fiddle; near Torgate Farm; near the entrance to Tegg’s Nose Country Park. Above: No signs of any mileage distances remain on this milestone. But it’s obviously been moved when the road was improved. So perhaps the words were on the side embedded in the wall. I must admit that the first one wasn’t that easy to spot as I was looking for a stone with distances carved on the surface. There was an unmarked stone embedded in the wall around the position described. And a quick check with Alan confirmed this was indeed the one. Someone has told me there’s a photo somewhere that shows lettering on the surface, and that time has eroded all signs. But I’m not sure that can be right. Someone else said that the words are buried on the sides within the wall. If anyone can help, please get in touch. I next went in search of the milestone close to the Cat & Fiddle. This was easier to spot, just a short distance along the old Macclesfield road from where it parts company with today’s A54. The lettering is far clearer on one side than the other, although the fact that one was in shadow didn’t help. It’s inscribed ‘To Macclesfield 6 miles’. And on the other ‘To London 164 miles’. The fade below shows the position of this milestone. It’s odd that it doesn’t seem to be in exactly the same position as the map. Perhaps it’s also been moved at some time. Although this doesn’t seem likely. I still haven’t managed to find the other two milestones on the Old Macclesfield Road, in-between the two featured on this page. So if anyone knows exactly where they are, or even better, has photos, please let me know.